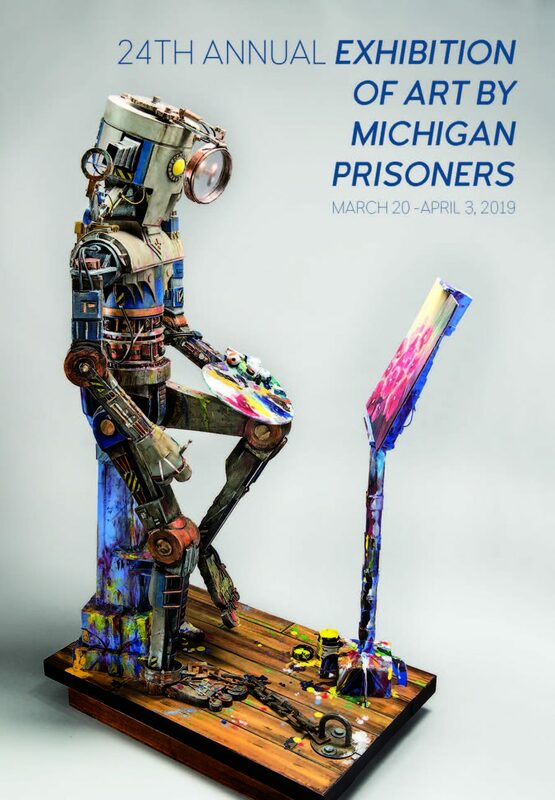 The Prison Creative Arts Project is putting on its 24th Exhibition of Art by Michigan Prisoners as of March 20th going until April 3rd on North Campus in the Duderstadt Center Gallery. The Prison Creative Arts Project (PCAP) is a University of Michigan collective composed of students, faculty and staff, and community members that are passionate about connecting the Umich community and those affected by the justice system in artistic collaboration. Their members included both youth and adults that are currently in detention facilities and have past experience in the carceral system. Students and faculty members participating in PCAP visit correctional facilities across the state of Michigan every year to collaborate with prisoners on their art, promote art communities in correctional facilities, and select pieces to display in the annual exhibition. PCAP is centered on the fundamental value that anyone can create art and using the connections art can build to create bonds and foster learning between its participants. This art exhibit is one of the biggest of its kind in the country and is continuing to expand. This year PCAP will be offering audio commentary in conjunction with the exhibit which visitors can access with their phones. Further, PCAP has partnered with the local restaurant, Detroit Filling Station, where they had their launch party. Beyond the dates of the exhibit in Duderstadt’s gallery, pieces from this collection will be on rotating display in Detroit Filling Station to further engage the community in their project. I’m excited to see this exhibit and experience the ways experience in the carceral system affects artistic work. Image courtesy of the PCAP website.